Reaction Time Versus Timing (What’s The Difference)? A special THANK YOU to Taylor Gardner for this reaction time versus timing demonstration. Above is a quick 4-minute demo video coaches can use to teach their hitters the difference between reaction time and timing. https://hittingperformancelab.com/wp-content/uploads/2019/01/reaction-time-versus-timingyt-e1547831906121.png 280 500 Joey Myers https://hittingperformancelab.com/wp-content/uploads/2018/05/hitting-performance-labs_c90c0362088ef1d3d528f3078f4f8ac1.png Joey Myers2019-01-18 17:20:462019-01-18 17:50:31Reaction Time Versus Timing (What's The Difference)? Know WHY, according to Baseball-Reference.com, strikeouts (41,207) edged out hits (41,018) in the Big Leagues in 2018? 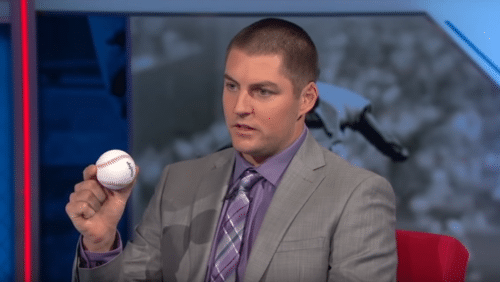 In my opinion, the above MLB Tonight Brian Kenny interview of Trevor Bauer has the answers. The front office putting higher value recruiting players based on key Sabermetrics? Maybe. Perry Husband, of HittingIsAGuess.com, has been sharing Effective Velocity principles for almost 2 decades, and it’s finally getting people’s attention. WHY? Because more and more pitchers are starting to apply the timing disruption principles. Unlike golf, timing is a MAJOR factor in how consistently hard a hitter hits the ball. And it’s THIS factor of a hitter’s success that’s under MAJOR attack. I speak to MANY MANY coaches, and a majority of them, are disgusted with the sheer number of offensive strikeouts over the last few years, so their solution is to teach a defensive “just get on base” swing. Are you kidding?! More pitchers are throwing 96-mph+ at the higher levels nowadays, they LOVE facing hitters being taught a defensive “just get on base” swing. And it’s not just at the highest levels, overall average velocities are going up across the board because of better training programs. And by the way, it’s not about the higher pitching velocities per se, because we can train hitters to see faster speeds in the “lab”, making the increased game velocities “seem” slower. That’s only one-dimension to pitching, as Trevor Bauer puts it in the interview. It’s what pitchers are being taught to do with added velocity, manipulating hitters’ reaction times. Don’t you see, the game is speeding up for hitters, and coaches are ill equipped to deal with the adjustment right now. They’re running east, chasing a sunset! At the 40-second mark, Trevor talks about having a specific “pitch mix”. And he adds that the delivery of that mix is different for every pitcher – how does he utilize it the best. He looks at hitter’s heat map and compares strengths and weaknesses to his “pitch mix” heat map strengths and weaknesses. What gives a pitcher the best chance of being successful? At the 2-min, 20-second mark, Brian asks Trevor about pitch sequencing – which pitch should follow the next? Taking away as many “tip-off” cues hitters use. #1: Changing your body (i.e. tilting off while throwing a CB – mechanics have to be consistent). 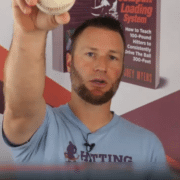 #2: How does the ball come out of the hand – tunneling, hitters can see “up and down” well, but not “side to side”, so he’s trying to minimize the “hump” in his pitches. The more he can hide pitching cues, the later the hitter sees the ball, and the more likely the pitcher wins. Neutral and clean mechanics. At the 3-minute, 45-seconds mark, Trevor Bauer talks about starting off his pitches in the middle and let the movement get to the spot he’s trying to hit. He worked on a new pitch to fill a hole in his pitching repertoire – he needed a pitch that could slide to his glove side that didn’t drop like his curveball. At the 6-minute, 45-second mark, Brian asks when Trevor is getting hit, what’s the checklist he goes through to get back on track? He feels his speed differentials are off, either he’s throwing too hard or too soft, for example in early 2017 the data said he was throwing too high a percentage of hard stuff – 4/2-seam FB and cutters, and not enough slow with the CB, SL, and Change. Once organized, hitters had a tough time. 3-Dimensional pitching approach: dealing with front to back (differing velos 95 to 85 to 78-mph), left to right (2-seam, 4-seam, cutter, slider), and up to down (4-seam, SL, and CB). At the 1-minute mark, looking for ball away and reacting in would work for one maybe two-dimensional pitchers, objective is to make good contact more often, having an EV plan against a pitcher makes hitting “easier”, setting “coordinates” like latitude and longitude, and work within those parameters, having a “blast radius” and only working within those parameters, match the timing to what you’re looking for, helps hitters to lay off stuff, eliminates half to 3/4 of the strike zone when pitchers get pretty good. At the 2-minute, 40-second mark, Carlos talks about his struggles at the beginning of 2009, he met Perry Husband, and he ended up leading the league in homers by the end of the season. This is Part-2 to the Facebook LIVE conversation I recently had with Bill Masullo, who is the Co-Owner and Senior Baseball Instructor at the Ultimate Edge @ Goodsports. In case you missed Part-1, where we talked about the effect Fortnite has on our hitter’s mental health, then CLICK HERE. At the 0:50 minute mark, how does posture effect the swing, studies show young athletes sit 80% of their day, certain groups of muscles get tight and others turn off, Gymnastics, Dance, Martial Arts, Swimming are great counter disciplines to friction free movement, rock climbing is also a great “counter” to chronic sitting positions. At the 4:00 minute mark, how working on screens (mobile, tv, computer) for extended periods of time effect ball players, for every 20 minutes of screen time, the eyes need 5-minutes off the screen, Dr. Peter Fadde and “video occlusion” training using his Game Sense Sports app, pitch recognition training, The 6th Tool: Training Baseball Pitch Recognition book by Dr. Peter Fadde. At the 9:30 minute mark, Major League hitters track better than amateurs (but ALL hitters can improve), below average, average, and above average “learn-ability”, Aaron Miles High School story about coach, in mid-90’s, putting particle board in way of hitter during pitcher bullpens (similar to Dr. Peter Fadde’s Game Sense Sports app), Jaime Cevallos pitch recognition hitting aid interview post. At the 13:00 minute mark, Bill asks what parents should know about vision training, Perry Husband foremost expert on timing, vision, and training research, simulating pitch plane, don’t throw to 7yo from standing position 20-30 feet away – like hitting up a mountain, throw seated on a bucket, size of ball short distance makes a difference – baseball players hitting golf sized whiffle balls from 30-40 feet, perceived ball size from 60-feet, 6-inches, or 45-feet. At the 16:45 minute mark, pitch recognition cues, “fat” wrist versus “skinny” wrist, shape of the arm coming through, curve-balls sometimes look like a “bicep” curl, gets challenging when pitchers slot their arm in the same arm slot, Effective Velocity (EV) Tunnels, more strikeouts than hits in the MLB now, Perry Husband coined this concept, perceived velocity to the hitter, easier for corner-back to cover wide receivers running similar routes (deep & post), versus more difficult for one corner-back to cover two wide receivers when one runs deep and another does a 5-yard 90-degree cut, a pitch farther away from the hitter (low-away), perceived velocity is slower, a pitch closer to the eyes (up-in), perceived velocity is faster. At the 22:00 minute mark, I asked Perry Husband how do you counter pitchers exploiting EV tunnels in hitters? Learning to “hunt” pitches, hunting specific pitches in specific locations, “belly button”, back foot, and real catcher’s glove barrel entering the zone positions (CLICK HERE for more on this), random pitch rounds, my son “hunting” Ford Mustang cars when driving on the road, hunting pitches is less relevant with younger pitchers, and college and professional ball – hunting pitches becomes more relevant, data collection. At the 30:00 minute mark, find Perry Husband’s vision, tracking, and timing products: https://www.hittingisaguess.com/product-category/online-academy/, my courses relating to vision, tracking, timing, and foot work are: On-Time Hitter 2.0: Engineering The Alpha (the essentials), and Reaction Time Mastery (full course which includes On-Time Hitter 2.0 videos). Jeremy Frisch is owner of Achieve Performance training in Clinton Massachusetts and former assistant strength and conditioning coach at the College of the Holy Cross in Worcester Massachusetts. Jeremy’s focus is on long-term athlete development where he works with children as young a 5 years of age up through college level athletes. Believe it or not, improving strength in the young athlete is easier than one might think. Young athletes need nothing more than their own body-weight or medicine ball to get stronger. When I train an young athlete’s I am looking at doing 4 exercises. In my opinion the bear crawl is one of the best all around total body exercises a young athlete can do. The bear crawl improves coordination, trains stability of the core and shoulder girdle and strengthens the lower body all at the same time. The bear crawl can be done in multiple directions, distances and speeds. Because of the difficulty of the exercise young athletes often fatigue quickly therefore very short distances should be used like 10-15 yards at a slow pace. My go to exercise for training the upper body is so simple that many coaches don’t believe me. The exercise is simple: the bar hang. Hang from a chin-up bar or monkey bars with the arms straight for as long as possible. Develops unbelievable strength from the grip through the shoulder and core, not to mention develops mental toughness because the kids can always dig a little deeper and hold on for a few more seconds. Climbing and hanging is a long lost art in children’s lives. Maybe if kids were a bit stronger and more agile in the upper bodies these days we would see less elbow and shoulder injuries. One of the best and most affordable ways to develop great leg strength and as a bonus speed , running form and all around conditioning are hill sprints. Look to find a steep hill 15-25 yards long and sprint up full speed. The key with hill sprints is to make sure the athlete has the appropriate rest between sets. Too many coaches use hill sprints as a torture device to punish their athletes. All that does is make them tired slow and miserable. Baseball is a game of speed and power and hill sprints can develop that speed and power in the lower body. Each sprint should be followed with a slow walk down the hill followed by at least a minute to 1:30 rest. Look to get 10-15 full speed reps with good rest per workout 2 x per week. Taylor Gardner is an Edison Award Winning Inventor of the Back-Spin Tee, who currently has the biggest social media following of any batting product in the world. With the help of his brother, former professional player and coach, he was able to break into the Major League Hitting World by bringing simple physics to the minds of many players and coaches. Now working across the world, Taylor is expanding his product line and instruction to bust the game’s biggest myths. Of all the hitting mechanics that I have had the privilege of learning and teaching, there are two that stand out the most. The mechanism of lining the shoulders on path with the incoming pitch. The stride portion of the swing has seen many variations and is a highly talked about subject. I see a lot of hitters performing their style of a stride, but few seem to understand how to simplify the stride mechanism without destroying other vital parts of the swing. The stride itself is a combination of a step, and a weight shift…That’s what makes it a stride. If you simply reach your front foot forward with no regard for weight shift, it is a step, and practically adding another movement to the swing making your swing take longer than necessary. I see a lot of young hitters believe that they are late on a ball because they reach their foot out, then weight shift, then attempt to align to the ball, and then swing. Yes, after doing all those movements, they are late…BUT…it’s because they started too soon! During the stride a hitter can weight shift, and align their bodies to the pitch (yes, even getting into an advantageous position of lag) all in sync. Once the hitter lands all they must do is swing from there. It cuts the timeline down tremendously. Hitters can track the ball deeper than they ever had before and still take a powerful swing without sacrificing their rhythm or connected movements. Think of how a quarterback throws a pass, or for the matter- a pitcher throwing a ball. They do a lot of great movements during their stride phase, so that when they land, they can simply “throw”. We like to call it “Land-throw timing” or “Land-swing timing” for the hitters. Lining the shoulders on the ball is the second mechanism I see that a lot of hitters could benefit from learning more about. Yes, you can begin to get your shoulders lined up to the pitch during your stride phase, but to be more in depth, even if your stride doesn’t put you on perfect timing with the pitch (and most hitters are slightly early even on their best hits), you still must get your shoulders lined up to the pitch to stay on path for contact. The barrel of the bat will be parallel to the shoulder plane at contact when done correctly. HOWEVER, this is where I see players and coaches trying to get on plane TOO SOON! If you drop your barrel on what seems to be on path early in the swing (Sounds like a good thing right? 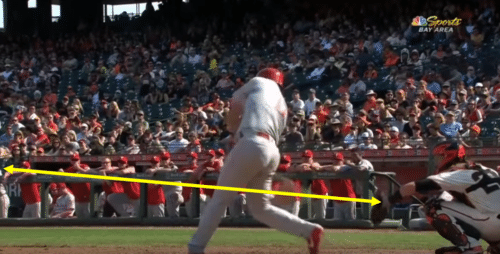 ), but are unable to complete your weight shift/stride, or even track the ball long enough to decide where to swing, you will leave a huge hole in your swing that pitchers can pitch around. Releasing the energy into the bat on time. Not early, and certainly not late. I understand hitting a baseball or softball is the single hardest thing to do in sports, however if you do not continue to understand the simple timing elements that lead to an appropriate swing, we will accidentally continue to make hitting a ball even harder than it already is. I carry the Backspin Tee at The Starting Lineup Store. Matt Nokes is a 10-year MLB Veteran, playing for the New York Yankees and Detroit Tigers. In that time he was a Silver Slugger Award Winner and All-Star Catcher. Since then he’s been working hard helping hitters as the founder of his company ONE HITTING SOLUTION. For over 20 years as a hitting coach he’s been researching and finding out what transforms hitters 99 out of 100 times, he’s developed 12 simple natural hitting Rules, Action Steps, Do’s NOT Don’ts, that he calls the 12 Touchstones because they’re the rehearsals that bring to the surface only the relevant “In The Zone Feelings”. No more random adjustments 50 times a day fiddling with your mechanics. This program is a 6-week transformational reset suppressing all the clutter, myths and half truths you’ve learned over the years from coaches, parents and now YouTube. Laser focused hitting mindset with the true MLB Plan as the proper context and perspective. Timing – the 3rd and final chord wrapped tight around the other 2 skill sets. The glue holding all 3 together to execute your only mandate: Never Miss Your Pitch. Click Here: But first watch this short powerful video to give you an idea for what’s in store for you and you’ll be given the opportunity to schedule a FREE Strategy Call with Matt Nokes. On the most primitive level, if you’re going to express timing with one physical mechanical expression it would be transferring into the ball on time. You can’t separate your weight shift from your swing [that’s called quitting], so it’s critical if you want to develop properly you need to learn to coordinate your stride and transfer. The 1st way I’d practice getting your weight into the ball is by learning the basic movement of the “step to swing”. You can use a tee without a ball for a point to aim at but it’s good to begin rehearsing the movement without the distraction of whether you hit the ball hard or not. Hitting the ball at this point is irrelevant. You want to learn the movement first and then begin adding variables. If you decide to NOT use a tee, make sure you visualize where the ball would be and don’t let your eyes wander. You body follows your head but your head follows your eyes and if your eyes are wandering then you’re in trouble, and will most likely wobble in your rotation. Swinging across your face. Crossing your face is a swing rehearsal cue that ensures you don’t pull your head. The alternative is to chase your face, and if you do that you’ll be pulling off the ball without much success. Swinging across your face may be the most powerful way to stay on the ball, direct your energy into a fine point and keep the ball fair on the inside pitch. What are your favorite drills to hit off speed pitches? That sounds like a joke, but it’s not. The best hitters are always ready for the fastball don’t miss it. Frank Robinson [Hall of Fame] changed the course of my career by teaching me the MLB Plan and a big part of it was never missing the fastball. Frank went on to say “you show me a good curve-ball hitter and I’ll show you a guy with a slow bat. Slow pitch in the batting cages. 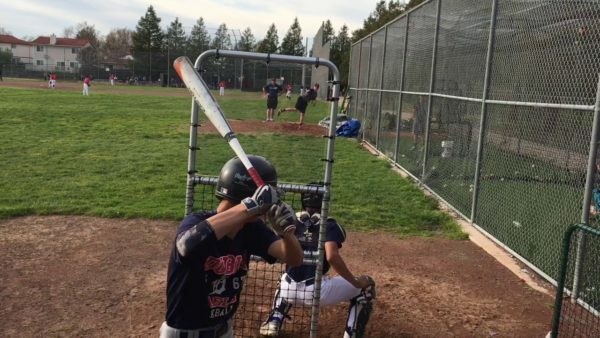 A great place to start for hitting off speed pitches is also one of the most convenient places to start and that’s in an automatic batting cage [in the slowest cage]. Most young hitters have trouble hitting in the slow cages because they’ve never been taught to deal with all the timing variables and they’re often discouraged when they have trouble, but they give up before they learn how to let the ball travel. It’s a mindset and a good way to think of a slow pitch is how you’d hit in slow pitch soft ball. Trust me…Timing is a skillset that is easily taught but it’s counterintuitive because it’s not a popular topic in the mainstream hitting community. It’s more popular to say timing can NOT be taught…but that’s a myth. Seeing the ball up is another cue for hitting the off speed and helps you visualize the trajectory of a potential off speed pitch, so you can still look fastball but won’t freeze on the strike curve-ball. One of the first obstacles to overcome is understanding what causes hitters to vapor lock or freeze on the curve ball. The higher release point of a “strike curveball” often freezes hitters because it appears to look like a fastball thrown so high that the hitter immediately quits on it right as it’s released from the pitcher. Now when a hitter is looking for a normal fastball between the waste and knees and gets a curveball in the dirt, they don’t automatically freeze on a ball in the dirt because it initially looks like a fastball. By the time you recognize it’s a curveball its usually too late and you’re feeling “I can still hit this”. If you see the ball up you’re able to look for your fastball [you can always adjust down on a fastball] but by looking up the only curveball that’ll look good is the hanging strike curve-ball that usually makes you freeze early in the count. Buying time involves going out and getting the ball by getting deeper into your legs, which gives the ball more time to travel into your hitting bubble within your reach. Every 7/1000th of a second the ball travels a foot, so if you’re off 21/1000th of a second the ball is traveling 3 feet. So buying time by falling deeper into your legs before you hit, gives the ball a little time to get closer, and your lower center of gravity allows you to access your farthest reach without leaking if you execute the “Touchstone” correctly. Either way, you often have to go out and get the ball farther out front without interrupting the flow of your land swing timing. I’m not getting into the positive or negative of Donaldson’s statement, but the coach’s responses that followed his “horrible advice” comment got me thinking. Come to find out, the loud and clear message was this coach despises when hitters strikeout. Often referring to this offensive outcome as “disgusting”. What was interesting was this one principle was central to how and what he teaches his hitters. The Time To Impact Metric was Central to the “Operating System”? Minimizing a Hitter’s Strikeouts were Central to the “Operating System”? Maximizing OPS were Central to the “Operating System”? 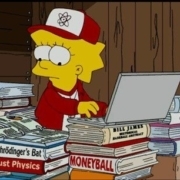 CLICK HERE for amateur, High School, and Pro ranges for both baseball and softball. What would be the top 2-3 priority hitting concepts guided by this principle? Point-A to B barrel path (shortest distance between two points). Default hitting strategy would be “Knob to the ball”. “Swing down”. “Barrel above the hands”. Most likely using more linear elements in the swing for both upper and lower half (i.e. ‘showing numbers’ will be a no-no). Maybe similar to a Charlie Lau style of hitting. 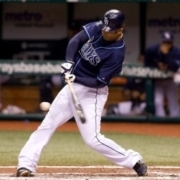 Minimalist view of the swing…wide feet, no stride, minimal hand and head movement, etc. May not believe a hitter can train timing, so the view is that it’s all about bettering the hitter’s reaction time. Look, there’s a healthy range for Time To Impact, not taking too long, and not being so quick the barrel is not in the impact zone long enough. You can see that range in the previous Zepp link. Remember, we want to formulate hitting principles that encourage how to maximize a player’s contribution to the run scoring process. What if you despised hitters striking out so much, you often referred to this outcome as “disgusting”, like our coaching friend above. What would be the top 2-3 priority concepts guided by this principle? Protecting hitters from swing and misses at all cost. Very defensive just make contact swings, especially with 2-strikes. May subscribe to barrel on plane of pitch early and stay on plane longer. Less margin for error. Believes in hitting ball hard and on a line. However, low liners and ground-balls are preferred, especially with 2-strikes. Don’t care as much about extra base hits, doubles maybe, but not homers. They aren’t worth the risk. 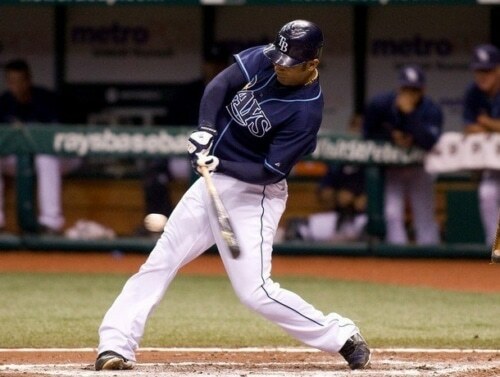 Swings taught at the advent of astro turf fit this type of hitting perfectly. Hard and on the ground. Mechanics may look like: wide no-stride feet, bug squishing, minimal head movement from start of swing to finish, choking up (especially with two strikes). Very defensive type of swing. On board with boosting Ball Exit Speeds, but will not agree with optimizing Launch Angles. Besides hitter strikeouts, this coach absolutely hates getting the ball in the air (too much of an out risk for them), unless it’s a low level line drive. High batting average and low strikeouts are very important to this coach. Ask any pitcher, and most (if not all) will tell you they’re taught to keep the ball down in the zone, to get the ground-ball. So, if the default strategy – or safety net to the line-drive – is to hit ground-balls, then you’re teaching hitters to do what pitchers want them to do. Most double plays are turned on the infield (probably THE WORST hitting outcome in the sport), and if you’re pinning hopes and dreams on an infielder making an error or ball taking a weird bounce, then you’re focusing on things you can’t control. High level coaches and players don’t think that way. WHY? Because it’s silly. Again, we want to formulate hitting principles that encourage how to maximize a player’s contribution to the run scoring process. A defensive swing doesn’t do this. Maximizing Batting Average were Central to the “Operating System”? In Golf, precision is key. The least strokes possible. Being able to control the club head has a lot of value because one small deviation at impact is exponentially compounded hundreds of yards from the tee box. The last hitter to hit .400 was Ted Williams in 1941. Tony Gwynn came close in the strike shortened year of 1994, hitting .394, and hitting around .370 in three separate full seasons. And Gwynn had a mere fraction of the power Williams did. Okay, so what would be the top 2-3 priority concepts guided by this principle? Getting on the plane of the pitch early with the barrel, and maximizing that time. Place a high emphasis on barrel control, both horizontally (across the field) and vertically (optimizing Launch Angles). The best hitters in the world can put the ball where they want, when they want, during batting practice. I LOVE this approach, and I feel coaches have done a poor job of training their hitters in it in the past (including me). Teaching hitters to hit the ball where they want, when they want. Why can’t we have hitters in High School batting .600 to .800? Or Little Leaguers hitting .880? I know it can be done because I did it when I was 12yo, in addition to hitting 30+ homers. Using Batting Average (BA), or better yet Batting Average on Balls in Play (BABIP), is a great start to encourage how to maximize a player’s contribution to the run scoring process. It’s one of the best metrics to formulate hitting principles that encourage how to maximize a player’s contribution to the run scoring process. On-Base Percentage (OBP) measures how often a player gets on base. And Slugging Percentage (Slug%) measures how many extra base hits a hitter hits. ISO, or Isolated Slugging (aka “raw power”, takes singles out of the equation), is better than Slug%, but I don’t want to complicate matters. Remember, the object of this game is to get runners on, and knock’em in. High frequency of hitting the ball hard. Increase Ball Exit Speed, or how fast the ball comes off the bat. However high Ball Exit Speeds with low Launch Angles are no good. A few years ago Giancarlo Stanton hit a ball 123.8-mph…on the ground, one-hopper to the second baseman…double play. Ouch. Optimize launch angle range between 15 to 25 degrees. This is the ideal line drive range, and optimizes batted ball distance. Some hate talking about Launch Angles, but every batted ball has a launch angle, even bunts. Mechanics that optimize both of these are key. How do we optimize Ball Exit Speeds? (Hint: that’s what Power Hitter 2.0: Engineering The Alpha does). What mechanics optimize Launch Angles and hitting more line drives? (Hint: that’s what The Pitch-Plane Dominator does). And importantly, my hitters don’t sacrifice swing quality for power. We get both! 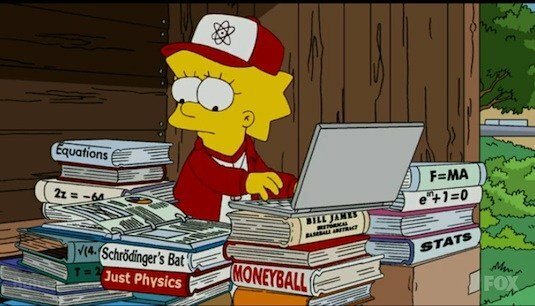 My hitters lower their strikeouts, mis-hits, fly-balls, and gross ground-balls with these online video courses. I think there’s success on whatever part of the spectrum coaches find themselves on. However, what if you lived on a planet that used forks and knives to eat soup? What would happen if an alien came down and surprised them with a spoon? Teaching hitting is the same. 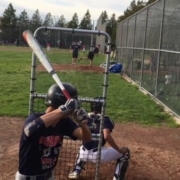 There may be thousands of ways to teach hitters, but one way is most effective. What is that way? Applying human movement principles validated by REAL science, NOT “because-I-said-so ‘bro-science'”, to hitting a ball. Have a higher standard for your hitters. We as coaches have to reverse engineer the our swing strategy based on what the game values, which are runs! The more runs your team can score (and prevent), the more WINS you get. Don’t lose sight of that coaches. I recently worked with a newer 12/13u hitter of mine, where he shared he had a terrible tournament, where he struck out virtually every at-bat the weekend before. This immediately raised a red flag for me. The easy thing to do for a player – and a dad or mom – is to point to a breakdown in hitting mechanics. As a hitting coach, if this isn’t your first rodeo, then you know this is not the case a majority of the time. Struck out a grand total of 3 times in the span of 6 months. By the way, looking at old VHS video of that swing, I was doing what I teach now. All those strikeouts were early in the regular season, and once I settled down, they vanished entirely. I was ignorance on fire! The next year I made the move to the big field, with no pitching distance transition like there are nowadays. I found myself swinging and missing A LOT. I got so frustrated with myself, and what do you think my dumb brain thought was the problem? Do you know the REAL cause? I was being driven by my fear of getting “caught up” to by other players. And yes, the whispers started in Middle School when I struggled to recover my old swing. Do you know how much of a nightmare that is for a hitter who’s super driven to succeed like I was? This fear drove me into the bookstore to read every book on hitting I could get my hungry teenager hands on. Ted Williams, Tony Gwynn, Charlie Lau, Mike Schmidt, and on and on. Nothing seemed to help. I obsessively watched film of that swing trying to figure out what I was missing or leaving out. Hey, at least I wasn’t out stealing cars! It was a 4-year mind-fudge that ended in recovering my batting average – somewhat – but not my power the last two years in High School. Thinking back now, it’s a miracle I ended up with a scholarship at Fresno State. The point of this story is, negative tournament outcomes don’t necessarily mean a breakdown in hitting mechanics. The first one is, were you focusing on the new stuff we worked on last lesson (which was a week before), during game at-bats? If the answer is NO to that question, then I would ask, how many strikes did you swing at, OR not swing at? If they’re swinging at good pitches, then on the swings you took, how many were “on-time”? If they pass the first three questions, then we look at seeking and fixing the ineffective swing mechanic. However, this particular hitter failed question one. I hadn’t warned him about bringing new swing techniques into game at-bats. I told him that in games, your focus MUST be on swinging at good pitches and getting on-time. It’s to compete. I teach hitters my painful lesson. The good news is, this hitter will be on the up and up again, and won’t have to go through the frustration, struggle, and anger I went through attempting to fix something I knew nothing about at the time. And frankly, the only one who had a clue was Ted Williams, but his message was drowned out in the other white noise I was hearing, reading, and watching. Paralysis by over analysis. About 2:50 min mark, Rhys: “The only thing I’m thinking about is getting my leg up”. Cliff Floyd talks about having a leg kick is a perfection type of approach. Pitchers are trying to disrupt a leg kicker: tempo, changing speeds, etc. About 3:20 min mark, Floyd says Rhys has something you can’t teach: “He hits the fast-ball, he hits the curve-ball, he hits the change-up”…Floyd says it’s going to be tough to get him out when he covers the plate well and doesn’t like to strikeout. About 4:00 min mark, Cliff Floyd goes into more detail about a hitter focusing on perfecting the timing of a leg kick, and not worry about anything else, or else you’re screwed. Rhys talks about getting “inside the pitcher’s rhythm in the on-deck circle”. Cliff Floyd comments: “Did I pay attention to what that pitcher really does consistently” with his timing and rhythm in the on-deck circle. About 5:10 min mark, Mark DeRosa is wanting Rhys to explain the use of his hands and back elbow. Cliff Floyd says if you want the kid to go into a slump keep talking about hands and elbows. Rhys says his thought is “down to the ball”, then adds, “obviously you’re not swinging down like you’re chopping wood.” He’s hoping that thought process will keep him on a level plane in the strike-zone as long as he can. About 6:10 min mark, talks about “knee to knee” “hover” leg kick. More balance, don’t get over backside. Just to be upfront with you, I’m not one of those instructors that teaches a leg kick to ALL my hitters. I think this is a BIG mistake. If my hitter doesn’t have what I call a “Float” (aka stride type) built into their swing already, then I ask them to experiment a little. Or if what they’re using isn’t effective at getting them on time and dynamically balanced, then we get resourceful. By the end, they find that one of these techniques allows them to time the ball better, and it may not be what they started with. We’re looking for what they’re comfortable with, and can execute the swing dynamically balanced. Floyd also said that a lot of time and energy needs to be spent on perfecting the timing of the leg kick. He added, “Did I pay attention to what that pitcher really does consistently” with his timing and rhythm in the on-deck circle. This is very important. Some of my good hitting friends online, who I highly respect in their knowledge, don’t believe timing can be taught or calibrated. I respectfully disagree. If you can teach a pair of chickens to play ping-pong, then yes, timing can be taught. True story by the way – with the chicken (read Don’t Shoot The Dog: The New Art Of Teaching And Training ). 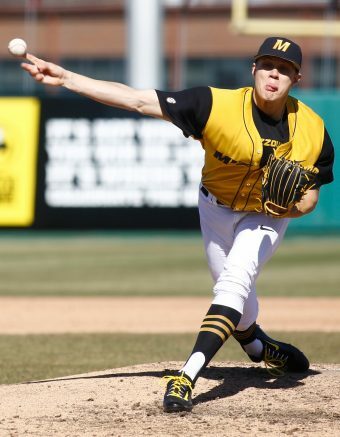 I’ve also heard pitching coaches on the Socials say they lick their lips when seeing a hitter with a leg kick. And you heard Cliff Floyd address a pitcher’s job is to disrupt a leg kicker by changing their delivery tempo, changing speeds, etc. But then Floyd turns around and compliments Hoskins saying, “He hits the fast-ball, he hits the curve-ball, he hits the change-up”…and adds, it’s going to be tough to get him out when he covers the plate well and doesn’t like to strikeout. Calibrating a hitter’s timing and pitch recognition training are a deadly combination for pitchers who salivate over seeing a leg kicking hitter. I asked this coach whether he’d salivate over facing Josh Donaldson, Justin Turner, or Mike Trout. He didn’t answer. Coaches, if you don’t give hitters tools for their toolbox, then they’re up there hitting blind. Don’t make them hit the pinata blind folded! Effective Velocity interview post with Perry Husband. 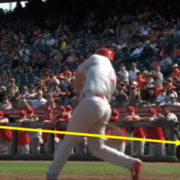 Timing lessons from Rhys Hoskins. How do you practice picking up the pitch early? Why is Timing not taught throughout majority instructors? Great mechanics are good but without Timing principles, you just look good going back to the dugout. What are some of the different ways you would teach/describe Timing? The following is a compilation of resources I wish I had when I was still playing. Coaches, if you aren’t taking full advantage of these, then you’ll be slowly losing ground in games over the next 5 years, that I can assure you. Get out ahead! Check out the feedback software you can use to work on getting GREAT at pitch recognition. Dr. Peter Fadde calls this ‘video occlusion’, which allows a hitter to focus on pattern recognition for the first 10-20 feet of ball flight. CLICK HERE for a blog interview I did with Dr. Fadde for more information on the benefits of his ‘video occlusion’ training. As Jaime Cevallos said in this interview, “pitch recognition” is an untapped area for players these days. The greatest thing about the GameSense software, is that coaches can keep track of their players’ use of the software with real numbers. What’s measurable is manageable. As a player, I would’ve eaten this up when I was younger. And yes, it requires a subscription, and the pricing plans differ depending on usage. On the homepage, GameSense is offering a free trial, so you can check it out and see if it’s right for you. CLICK HERE to grab your FREE trial of the GameSense app that focuses on pitch recognition training…i.e. picking the ball up early out of the pitcher’s hand. By the ways, gS Pitch-IQ was named one of the best products at the 2017 ABCA convention in Anaheim! Do you have players swing at everything during batting practice or let them be selective? 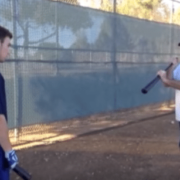 What drills are good for teaching a player to hit a ball where it is pitched? I’m not sure I’d ever let hitters swing at everything during batting practice. Everything we do at practice, as coaches, MUST have a purpose. And that purpose MUST prepare our players for the game environment. 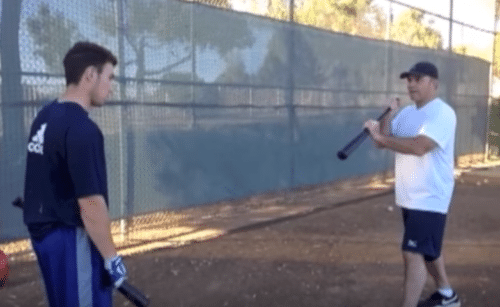 CLICK HERE to watch YouTuber Trevor Ragan compare the benefits of training “ugly” in a post I did showing how to EFFECTIVELY transition grooved batting practice swings into game ones. You see, when a hitter swings at everything in the cages, most of what they’re working on is in the “DO” portion. There’s very little READ or PLAN present, which is required in a game environment. “Massed Training”, as defined by SchoolOfThinking.org, is said to be a far less effective strategy for retaining knowledge or developing skills. In other words, practicing the same thing over and over again WITHOUT a break and evaluation period is inferior to spaced and/or ugly training. 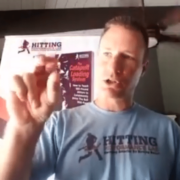 CLICK HERE for my Hitting Outcomes Evaluation Checklist. CLICK HERE for this post I did on plate discipline – splitting the plate up into 2/3’s and 1/3 is another great way to teach your hitters to be more selective. This answers the second part to the reader question above…you can also turn on READ, PLAN, DO by limiting what parts of the field you want the hitter to hit to, OR limit certain elevations you want the hitter to hit at, regardless of pitch type, location, and speed. Addressing the former…you can setup targets out in the field preferably in spots where you don’t find any fielders (gaps/down the lines), and hitter has to hit the target as hard as they can. Addressing the latter…I’ve seen some coaches place shagging screens about 30 to 50-feet from the batter’s box creating a barrier to hitting ground-balls, and the objective is to hit the ball hard over the screens. Random pitch type rounds – an example of this is randomly throwing either a 2-seam fast-ball or a curve-ball, and having the hitter stick to seeking out one pitch over the other for one 5-swing round. 2 or 3-plate drill rounds – where the hitter moves from different plate distances between or during 5 swing rounds. The plates can be placed about 3 to 5 feet apart. This is a GREAT timing drill. Doing situational hitting rounds…hit-and-runs, move runner over, and bunts/drags/pushes. I’m sure other coaches have cool deviations of the above, so please SHARE in the comments section below. The point is, hitters should have a purpose when taking batting practice, NOT just swinging at everything, IF they want to match the game environment. Totally. I tell my hitters that the most effective mechanics in the world don’t mean a thing if they can’t get on-time. Surprisingly, some hitting instructors don’t think timing can be taught? I disagree. Now, let me clear up a common misconception…do you know the difference between timing and reaction time? Tell them to stand in front of you, and hold a baseball/softball an arm’s length away from you at about the height of their head. Then tell them you’re going to drop the ball at a random time…try varying the times you drop the ball, and you’ll find it’ll be a challenge for them to catch it. Repeat two more times. This my friend is a demonstration of reaction time. Then tell them you’re going to drop the ball after counting to 3 (no tricks here coaches)…count to three, then drop the ball. Repeat two more times. This my friend is a demonstration of timing. And as you may guess, this will be much easier to catch for your players. Switching ball types at random…using baseballs, softballs, whiffles, golf whiffles, racket balls, Smush balls, and tennis balls. Thank you Mike Ryan from Fastball USA for the last two. A hitter will have to re-calibrate their timing between swinging a longer heavier bat than a lighter shorter one. The different balls mentioned will fly through the air at different speeds making for a perfect off speed practice environment. This can be really challenging for the hitter, and a lot of fun. But be careful coaches, slowly layer in the difficulty, don’t do ALL three above at the start. Some hitters excel quickly, while others take more time. Do you see how important training beneath the READ, PLAN, & DO umbrella is? I hope this helps coaches!! Please share any other effective methods you do with your hitters that improve what was talked about above. THANKS in advance! I’m happy to announce the RE-arrival of Jaime Cevallos onto the hitting scene! He’s a good friend of mine, and has some cool stuff to share. He’s working on a new training aid that helps with Pitch Recognition that I think will revolutionize how that is trained at practices. He’s also working on a new companion book to his latest book Positional Hitting . We dig into quite a bit in this interview, so please let me know in the comments if you’d like us to do a Part-2 sometime. Ongoing studies are revealing distraction training using Strobe Goggles are giving dramatic results from little use. PLEASE NOTE: The players and coaches were reminded of individual swing issues before and after each experiment period. During they were not. They were reminded of breathing, composure, and head position during the distraction. Generally and very often as encouragement and reinforcement. A recent 6-week test was 5 swings without the goggles, 5 with, and 5 without, so 15 swings total per week. These hitters increased Ball Exit Speeds between 2 to 5-mph after the 6-week period. Another recent 8-week study had hitters using goggles for 1-hour throughout the week, totally 100-150 swings per week. Swings without the goggles were mixed in throughout the week as well. These hitters averaged 14.3-mph Ball Exit Speed increases at the end of the 8-week period. We can safely say that between those numbers we’ve seen a relative increase in positive performance output using the goggles. If you remember, I did an interview with KC earlier in 2016, CLICK HERE to read that. If you remember, video occlusion training is what Dr. Peter Fadde talked about in this interview I did with him – CLICK HERE. 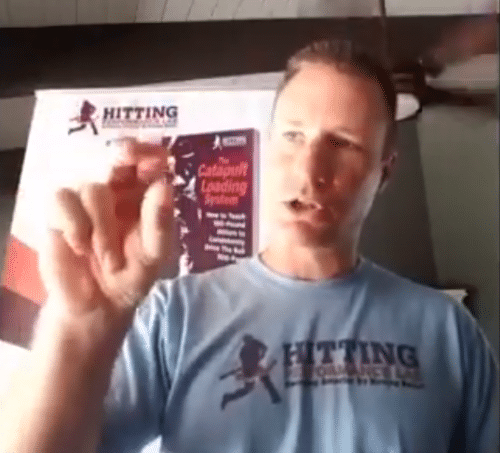 Also, CLICK HERE to see how Perry Husband uses a pinch of distraction training to calibrate tracking and timing in this HPL interview. Basically, KC the “Mad Scientist”, is putting together a “smart” hitter’s helmet that will benefit the three categories I mentioned before. Believe me, distraction training WILL BE the FUTURE of hitting. KC will reserve a spot for those interested in the distraction training helmet, so CLICK HERE to RESERVE YOUR SPOT today!